Since people were sick around here, I've been a bit slow about posting what's been happening. So here are some recent crafts. 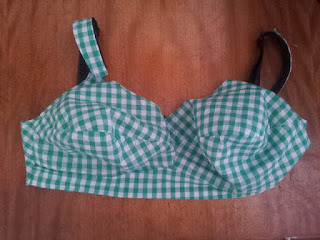 I finished off a new bra, in green gingham, and I'm feeling very pleased with the results. 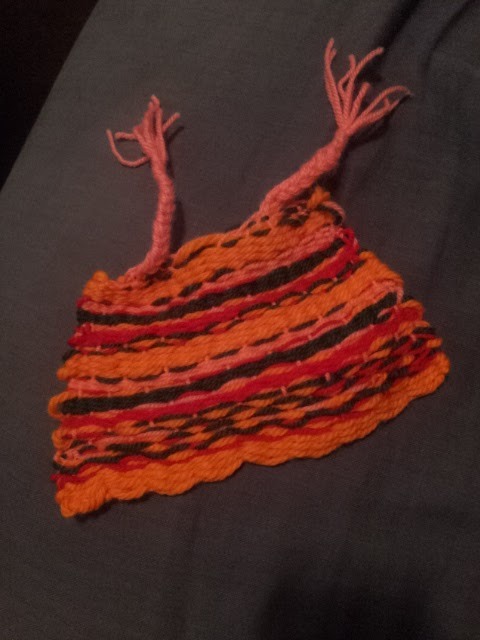 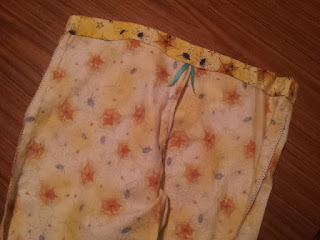 This is the first bra that I've made that has straps that are really comfortable. I finished some jamies for Irving. 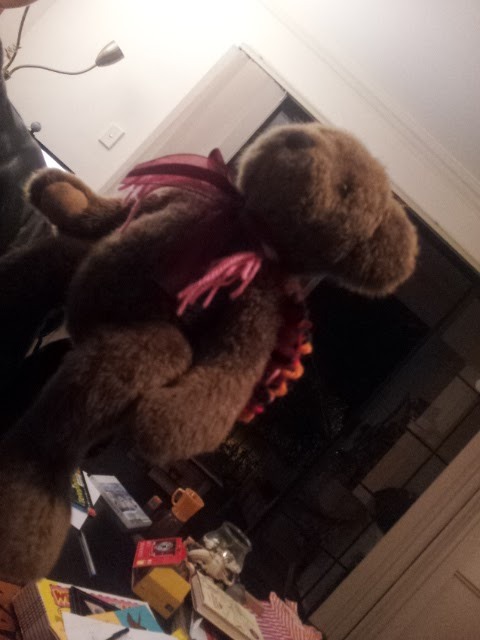 He's very pleased to have some that match Arden's. 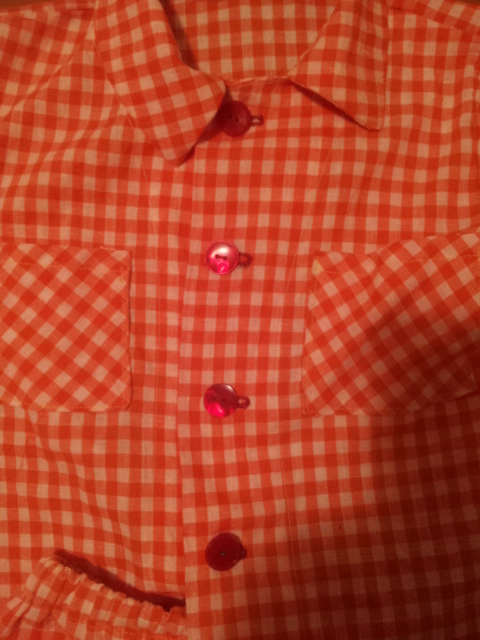 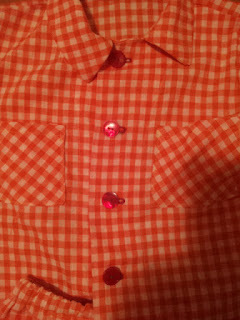 Irving picked the red buttons from my stash of vintage buttons. 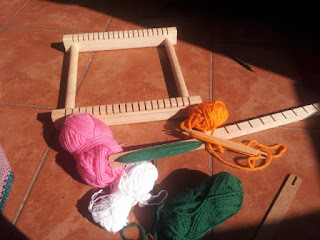 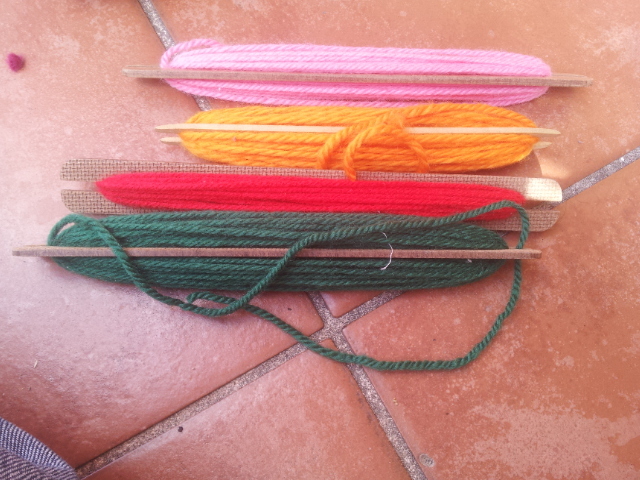 Arden and I have been working on a block of crafts relating to how people clothe themselves. 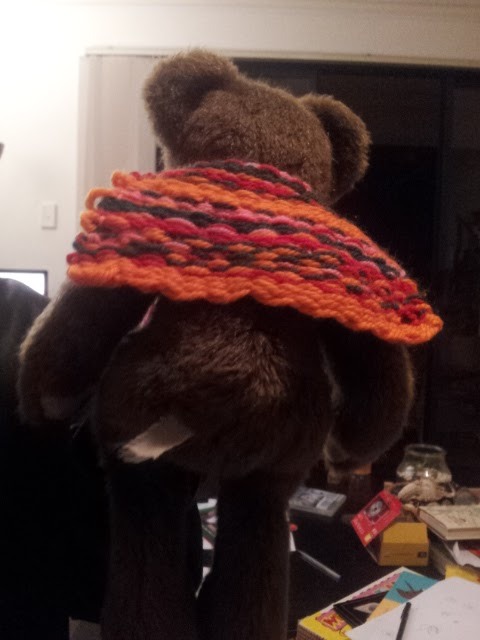 He did a small project on our lap loom and made a cape for a teddy bear. 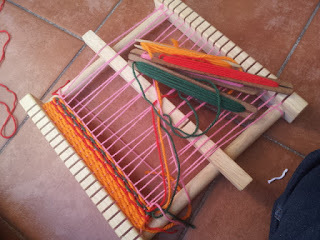 We were also lucky enough to come across WAFTA doing some demonstrations on weaving, book binding and basket making. 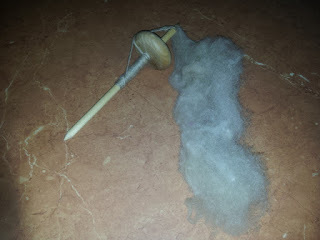 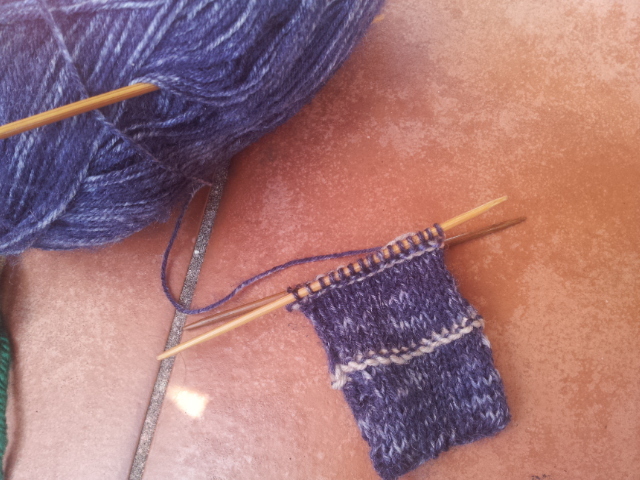 Arden and I have moved onto spinning this week, learning to use a drop spindle. Arden has almost finished his pyjama pants. 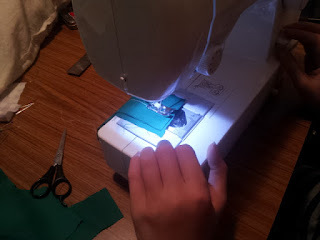 He is up to sewing the hems, and we threaded the elastic into the waist band yesterday. 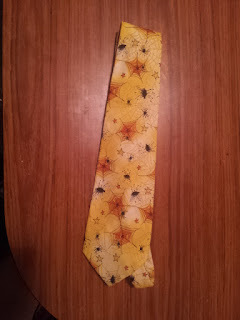 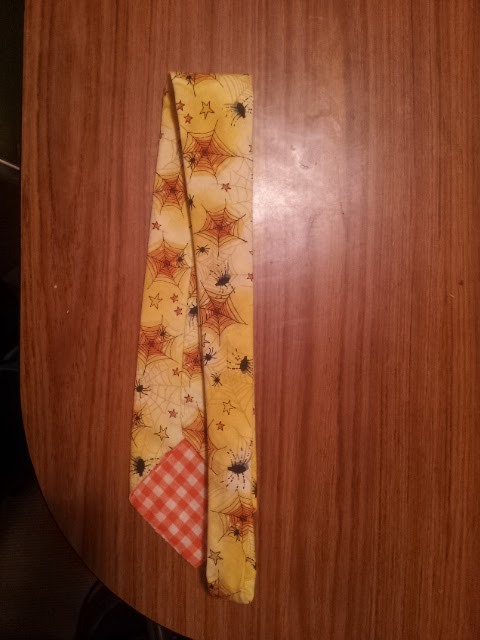 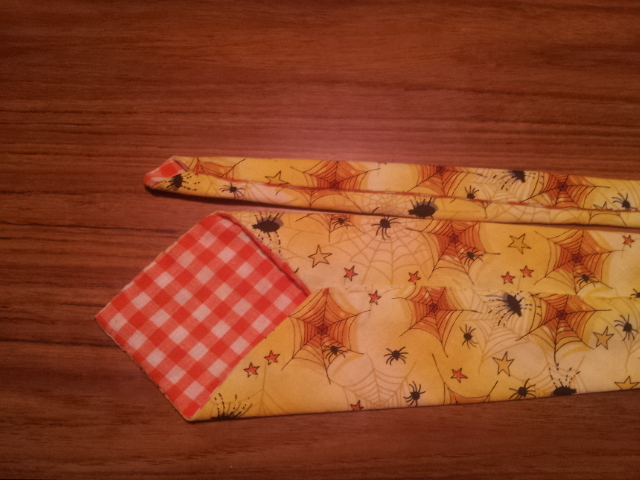 Gabriel finished has handsewing project, and is very happy with his new tie. 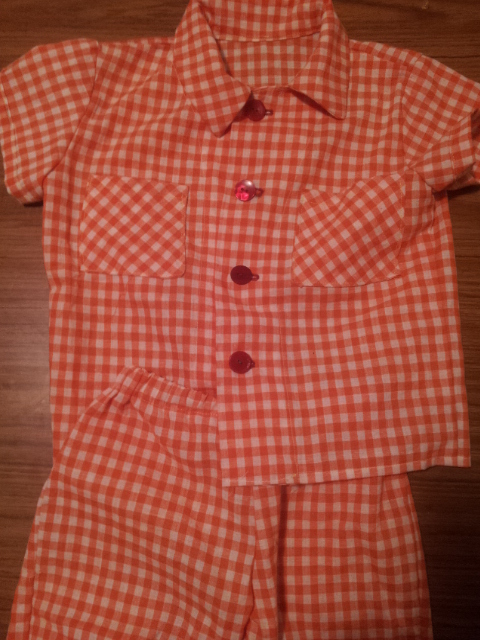 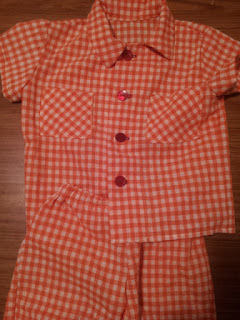 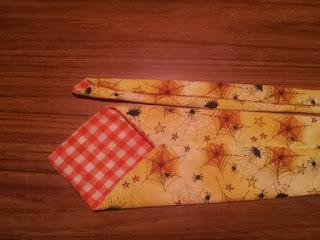 Gabriel started using the sewing machine yesterday, generally experimenting with it, and getting a feel for how it works. 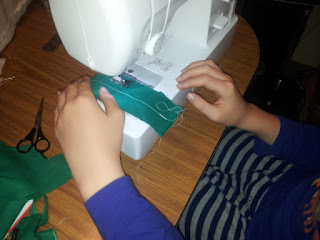 He is making a book cover for his first project on the sewing machine. 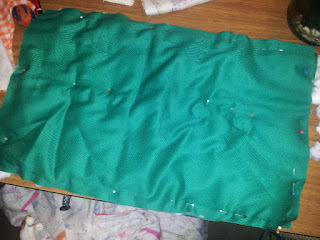 The start of the book cover.